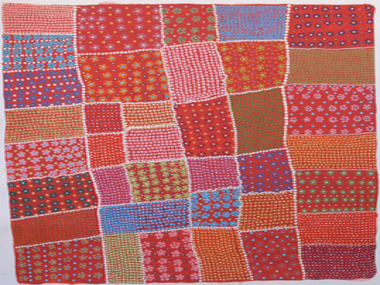 Australian Indigenous art is not all that we had imagined it to be. 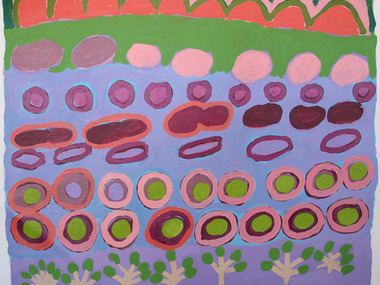 When one thinks of Aboriginal art, a genre driven by a nomadic way of life, one thinks of watering holes and an ancient form of communicating. 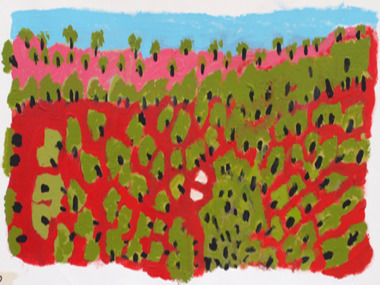 The meaning behind the beautiful, and sometimes-colourful dots and circles depicting the land, and one’s country, are not immediately apparent in traditional Aboriginal art. ReDot Fine Art Gallery is pleased to exhibit these works as another electrifying and unexpected face to Aboriginal art. Robinya, Annie Purvis, Betty Conway, Amy Napurulla, Alison Inkamala, Carmel Chisholm, Yvonne Kunoth, Eileen Moore and Sally Mulda, as well emerging stars such as Jane Young. The show will be attended by Jane Young, Grace Robinya and Dan Jones, as they add a special touch to the event and share their stories of living in town camps with the Singapore public. Artists: Carmel Chisholm | Dan Jones | Eileen Moore | Elizabeth Beasley | Grace Robinya | Jane Young | Sally M Mulda | Yvonne Kunoth.